Week 1 of the State Champs saw Hawks represented with 9 teams – U19CH Men, U17M x 3 teams, U17W x 2 teams & U15G x 3 teams . We had a number of players wear the Hawks colours for the first time and we had some good results overall. 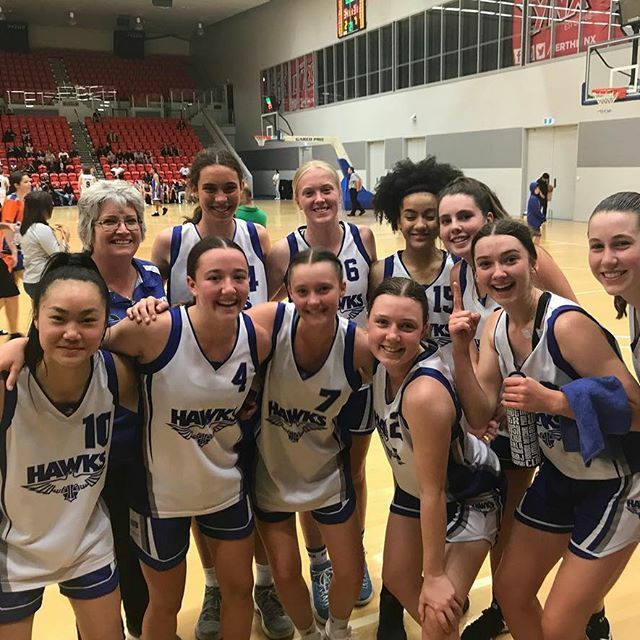 Our 17CH W, coached by Kerry Clarke, made it through to the Grand Final and took out the Championship with a 35-30 win over the Kalamunda Eastern Suns. The 17-2 Boys team coached by James Elliott also made the Grand final but lost in overtime to Senators 34-40. We also had our U17CH M ; U17-3 M, U15CH W and U15-3 W make the semis but unfortunately lost and didn’t move through to the Grand Finals. Congratulations and thanks to all our teams- players, coaches & managers, along with our parents who supported their teams over the weekend. We will see you back for WABL trials on the 31st January 2019.